After such a successful give-away in 2014, we here at Aerosaurus Balloons are very excited to announce another Advent Calendar Competition! 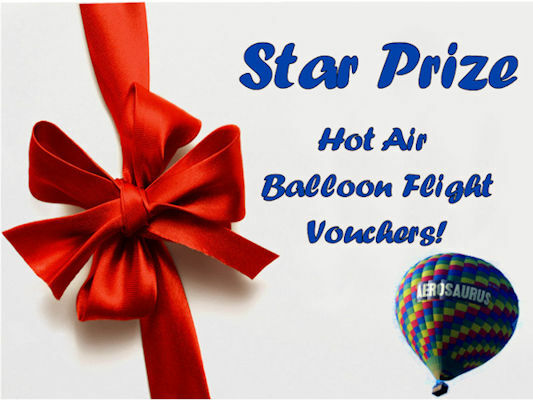 We will be giving away a fabulous prize each day in the lead up to Christmas with balloons flights, ballooning merchandise and much more up for grabs! To Enter all you need to do is visit our website every day 1st – 24th December and open the relevant advent calendar window! Good luck and Merry Christmas from everyone at Aerosaurus Balloons!